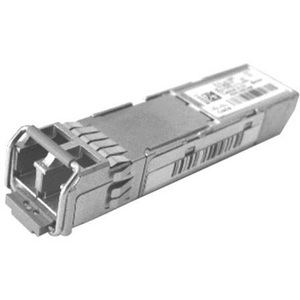 A GLC-X40-D-I or GLC-BX40-DA-I device connects to a GLC-BX40-U-I device with a single strand of standard SMF with an operating transmission range up to 40 km. The communication over a single strand of fiber is achieved by separating the transmission wavelength of the two devices. The GLC-BX40-D-I, GLC-BX40-DA-I, and GLC-BX40-U-I SFPs also support digital optical monitoring (DOM) functions according to the industry-standard SFF-8472 multisource agreement (MSA). This feature gives the end user the ability to monitor real-time parameters of the SFP, such as optical output power, optical input power, temperature, laser bias current, and transceiver supply voltage.